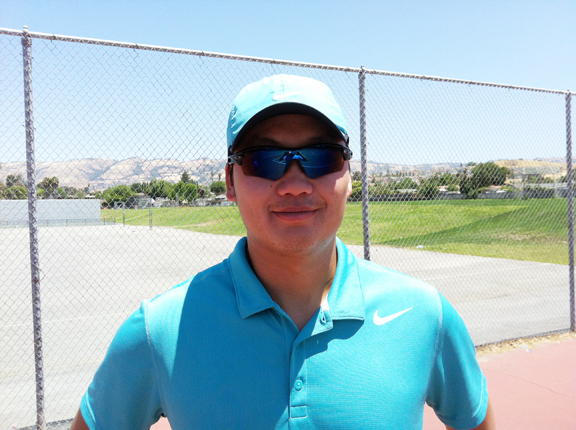 At the age of 10, Eugene started Tennis right here at NorCal Tennis Academy. Hard work and natural athleticism earned him an impressive High School tennis career. Playing at #2 singles in his Freshman year, was the Finalists in Blossom Valley High School Tennis League and CCS Playoffs by Sophomore year. He went undefeated for the entire Junior Year. Eventually, Eugene earned the #1 ranking and the MVP of his High School Team. During the off season, Eugene stayed active with USTA Juniors tournaments, he had numerous wins over top ranked players in the 16s and 18s age group of Northern California. In two summers, Eugene was awarded scholarships to USTA NorCal Tennis Camp where he underwent training for competitive Tennis. Towards the end of his High School, Eugene received multiple Tennis Scholarships from different Universities in the East Coast. He turned them down and decided to stay in California. Eugene earned a degree in Business Management at the University of California, Santa Cruz. Soon after school, Eugene successfully completed his USPTA Professional Certification. Throughout his 4 years at UCSC, school schedule prevented him to compete for the team, however, he stayed in training with many of the UCSC men’s tennis players and competed in USTA Northern California Men’s Open tournaments, that earned him top 100 ranking. Coach Eugene is a certified USPTA Tennis Professional.